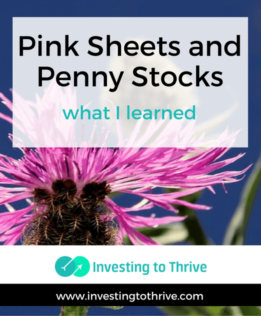 When I started delving into this topic, I soon realized that pink sheets, penny stocks, and other over-the-counter (OTC) stocks could be more easily purchased today than in the past. Electronic systems developed and refined in the last ten years or so now provide real-time quotes and match buyers with sellers. For example, OTC Markets Groups created an alternative trading system that acts as a marketplace for broker-dealers. So, I can buy and sell pink sheets and penny stocks from reputable online brokers. Still, I need to be careful as ease of transactions doesn't take away risk. Just as in the past, pink sheets may still be pitched aggressively to investors, sometimes from smooth-talking sales reps like the The Wolf on Wall Street. A big difference between OTC stocks (including pink sheets and penny stocks) and those traded on the NYSE (New York Stock Exchange) and NASDAQ are listing requirements. Companies on major national exchanges must meet certain criteria, which relate to the size of the company, number of outstanding shares, and stock price. They must comply with the U.S. Securities and Exchange Commission (SEC) regulations, which require these stock-issuing companies to publish audited financial reports on a quarterly and annual basis plus make certain disclosures about their business operations. Note that companies like Enron and Tyco, which were listed on major exchanges, tricked the SEC and defrauded investors. So, it still makes sense to be cautious and consider long-term performance, even when buying stock on major exchanges from reputable brokers. In general, though, the requirements of the major U.S. stock exchanges protect investors by 1) providing a ready marketplace for a company's stock whenever I want to buy or sell shares; and 2) ensuring access to information about the company's financial status, such as annual earnings or cash flow. Such measures don't guarantee I'll make money but they can help me make an informed investment decision. The OTC Market Groups has organized various types of OTC stocks into three distinct marketplaces, which includes OTC Pink for pink sheets and OTCQB or venture stage companies that include penny stocks. These distinctions are useful in researching stocks and separating proverbial wheat from the chaff in terms of investment potential. Stocks traded on the pink sheets and many penny stocks are not required to meet the same standards of U.S. stock exchanges and more stringent SEC regulations (though the SEC does provide some regulatory oversight for pink sheet and penny stocks). Pink sheet and penny stock companies may not disclose relevant (also called “material”) facts about their businesses or they may erratically (or variably) publish financial statements. So, unlike NYSE and NASDAQ companies, for example, less is known about these stocks. As a result, establishing an appropriate price for the investment may be difficult. Sellers may claim to be insiders and promote a company's potential while buyers are still in the dark in terms of financial results and company valuations. Note that while pink sheets and penny stocks are OTC stocks and considered speculative, not all OTC stocks are considered speculative. Some companies with stocks that trade off exchanges file regular financial reports and adhere to strict regulations. I won't say that I will never ever invest in pink sheets or penny stocks. But I can say that I will recognize the risk and the difference between a stock traded on a major exchange and one that is thinly traded off exchanges. Do you buy and sell pink-sheet stocks? What has been your experience with these investments? for a living, that’s full-time, and you may want to consider renting an office to do this.